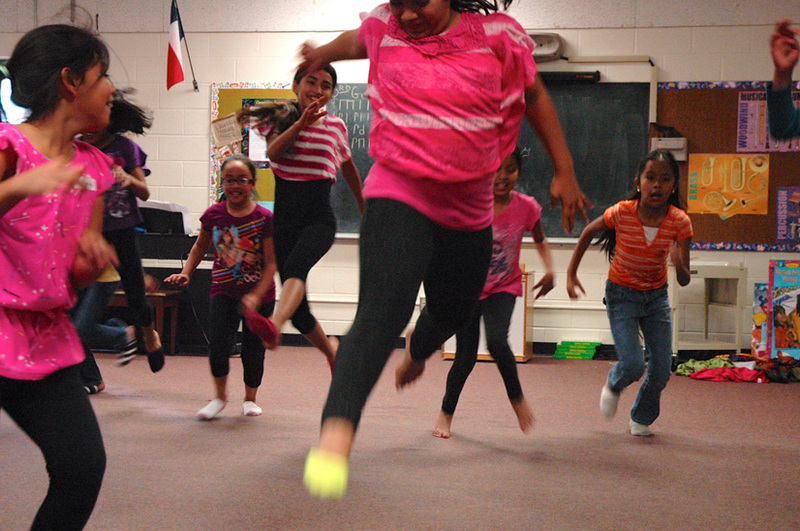 Forklift Danceworks’ Leaps & Bounds program partners with schools across Austin to bring creative movement to classrooms. In our interactive dance classes, students and children of all ages engage in developmentally appropriate experiences. 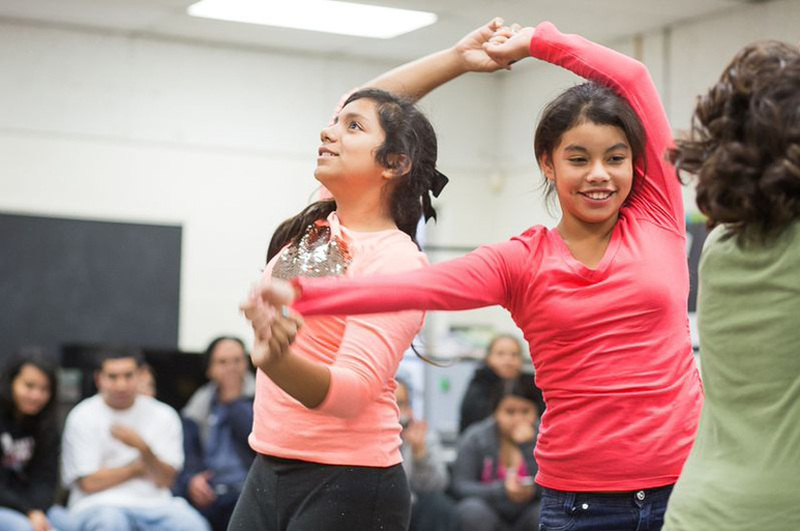 Children solve problems, make individual choices and express themselves through dance. 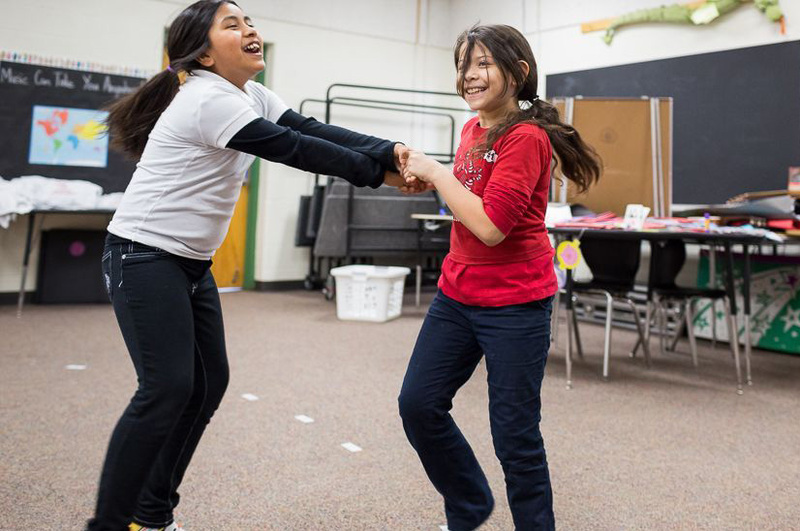 By creating and improvising movement, children draw on their inner resources, build their experience and self-esteem, and engage their imaginations. 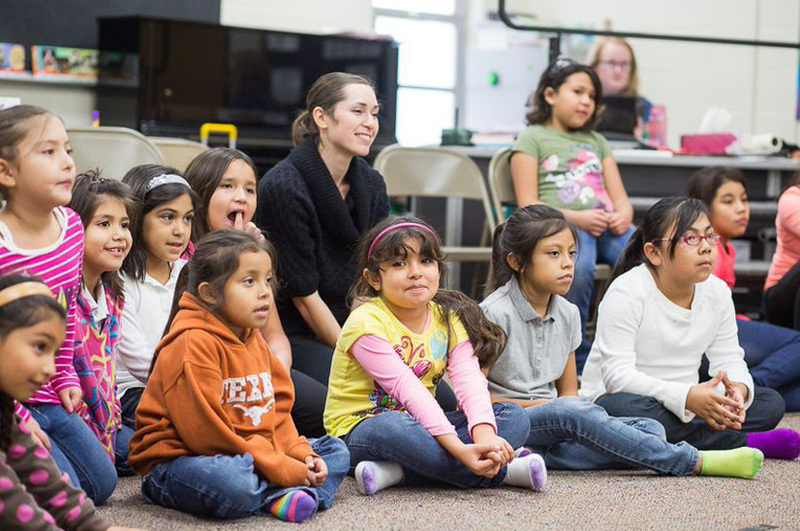 Since 2001, Forklift Danceworks has been working with our partner schools to address the critical need for free, high quality youth arts programs in Austin’s low-income neighborhoods. The youth served by Leaps & Bounds do not have easy and regular access to arts enrichment programs. 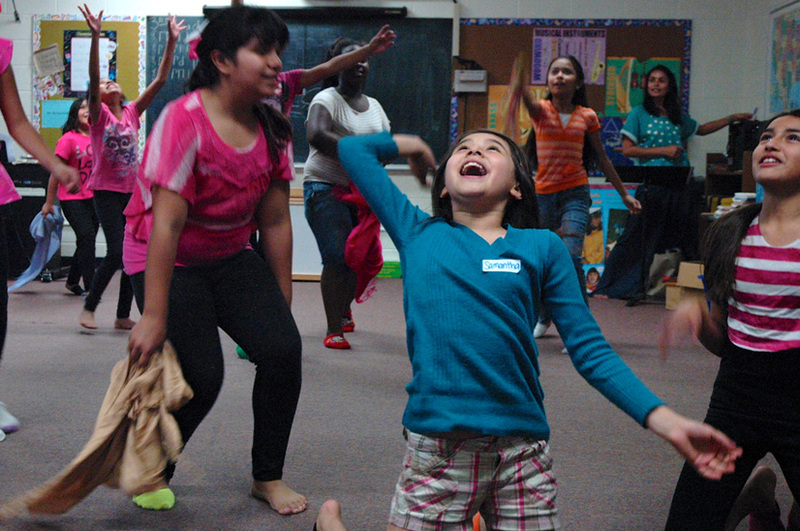 For most children, Leaps & Bounds is their first and only ongoing opportunity to participate in arts programming. Leaps & Bounds Teaching Artists are working in 20 classrooms, offering creative movement and dance classes directly to over 600 children. In 2012, Forklift Danceworks created Leaps & Bounds: Learning in Motion to meet the need of learning communities wanting to integrate more active, creative learning into their daily educational experience. Learning in Motion works with educators to incorporate creative movement principles and practices into their curriculum. Teaching Artists collaborate with classroom teachers and work with each partner school to learn the curricular needs of its community. By integrating creative movement into their curriculum, Learning in Motion helps teachers to engage students in active learning. Leaps & Bounds employs research-based developmentally appropriate practices and aligns with the National Standards for Dance Education. Our early childhood curriculum is informed by research in neuroscience as well as NAEYC, Head Start and Early Head Start. 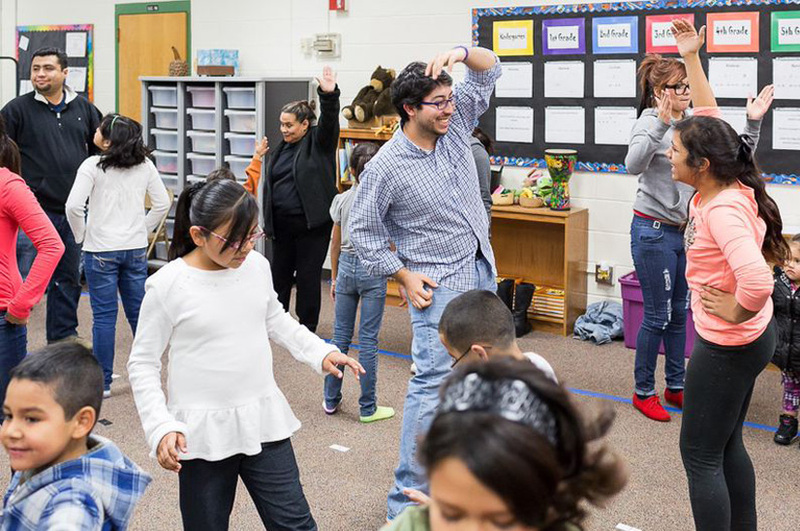 We developed and are currently delivering professional development in movement-based instruction for the City of Austin, Austin ISD & MINDPOP’s Creative Learning Initiative.